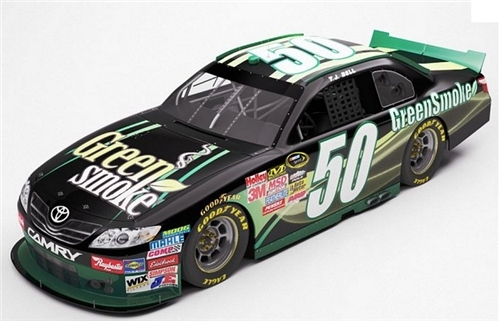 I couldn’t believe my eyes when I read the news that there was a new sponsor for the number 50 car, our very own Green Smoke. Thinking about it though, it makes sense because NASCAR is one of the few organizations that is not ashamed or embarrassed to accept money from a company or industry that is not considered to be politically correct. With all of the concern over electronic cigarettes, which I believe have been falsely drummed up by tobacco lobbyists who see their wealth slipping away, it makes perfect sense that an American tradition like NASCAR would happily accept their sponsorship dollars. I didn’t know that to be the case, and I would’ve bet that Sony or some large electronics company had sponsored a NASCAR before, but apparently not? In any case, it’s definitely the first time in history that an electric cigarette company has sponsored a NASCAR, and I think it’s pretty cool. 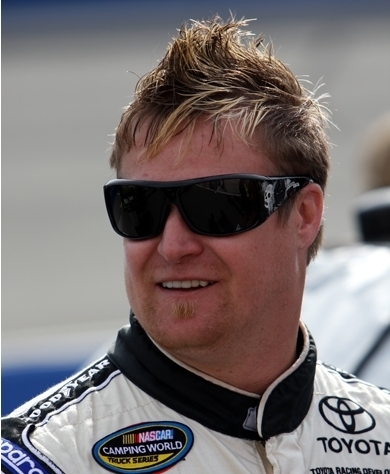 The lucky driver of the Green Smoke Nascar is going to be T.J. Bell, who is now officially registered to debut in next Sunday’s 52nd Coca-Cola 600 race on May 29th, which will take place at Charlotte Motor Speedway. This is all pretty exciting not only for Green Smoke and Nascar, but for the entire electronic cigarette industry. Good luck… I’ll be watching!